It features incredibly useful educational bass content weekly! 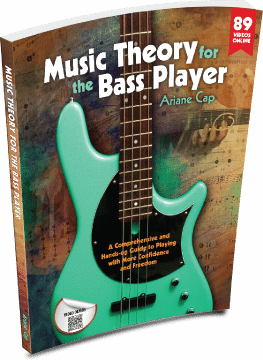 As a thank you for subscribing you receive 3 useful Music Theory PDFs! Ask Ari a question and she may answer it in a blog post! Funky, I mean super funky….! Note: Use the above links or if buying in a store, make sure to get the “C version”. Bass is in C, concert key. Sometimes people accidentally buy a Bb or Eb version – those are for horns.